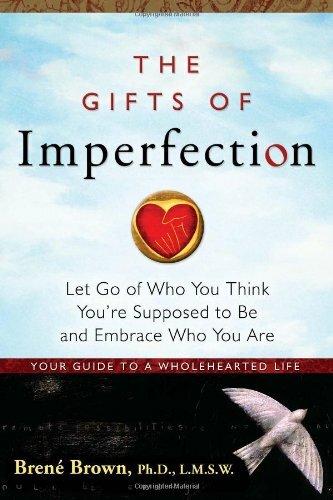 I just purchased this book by Brene Brown. I’ve been slacking myself for buying this book merely because I have MANY books to read. But when I saw a 50% discount of this book at Book Depository, I decided to buy it immediately. A 50% discount AND a free shipping worldwide! A really good deal, huh? If you’re interested in this book, I suggest to buy it IMMEDIATELY! I admit I’ve been buying many books (and accessories). It’s what Indonesians call "kalap". I’m just afraid that I won’t be able to do this anymore when I go back to Indonesia. It’s impossible for me to get cheap English books (and cheap accessories) over there. The postal service is not reliable too so I don’t know how I can cope living without online shopping hahaha. Well, for now I can rely on my sister who lives in KL. I can send all the books to her and she can bring them to me when she goes back to Jakarta. That’s my plan :P. For the next one year haha. I hope she keeps on living there so I can take an advantage hehe. Lawan pelarangan buku! Fight against the banning of books! I’m currently reading Dalih Pembunuhan Massal: Gerakan 30 September dan Kudeta Suharto by John Roosa. This book introduces new evidence about the September 30th Movement (or more commonly G30S), a group of Indonesian soldiers whose action leads to the assassination of six Indonesian Army generals, mass killings around the country, and the transfer of power from Soekarno to Soeharto. 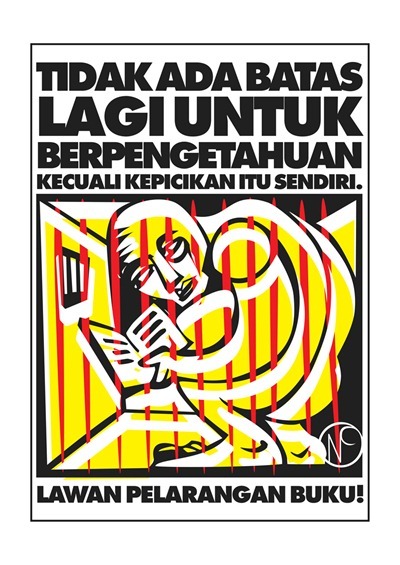 The movement has been described by the Soeharto’s regime as a coup attempt done by the Indonesian Communist Party (PKI). Indonesians who lived or grew up during the Soeharto years were required to watch the movie "Pengkhianatan G30S/PKI" on 30 September every year. The movie, which was no longer shown on TV after the fall of Soeharto, was part of a propaganda made by the Soeharto government to convince the public that PKI was the one to blame. After 45 years since the event took place, it is still not clear who the masterminds behind it are. That’s why I’m trying really hard to read the book (again — it has stopped before). Even though Soeharto is no longer ruling our country, the book is unfortunately banned by the current government for unclear reasons! The e-book version can be downloaded from here (in Indonesian only). The original English version is called Pretext for Mass Murder: The September 30th Movement and Suharto’s Coup d’Ã‰tat in Indonesia. I’ve been very interested in Afghanistan ever since I read Khaled Hosseini’s Kite Runner which provided me an insight about the country and how cruel the Taliban was. When I first came to the Netherlands, I met an Afghan guy who quickly became a friend. He came to the Netherlands after being granted asylum about 7 years ago and took a Dutch citizenship a few years afterwards. Although not explicitly, he told me that he was thrown in Taliban prison by the regime. I asked him whether Hosseini did an honest portray about Afghan society, and he said yes. Today, I just finished reading The Bookseller of Kabul written by a Norwegian journalist Ã…sne Seierstad. The book tells a story surrounding the life of a bookseller named Sultan Khan and his large family in Kabul. 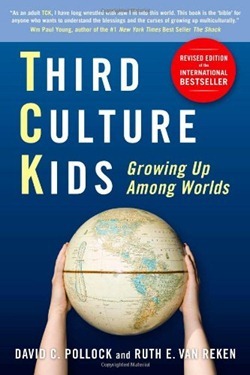 The author got the chance to live with the family for three months which allowed her to peak through their unique everyday lives. But as I read more pages of the book, I realized that the author focused too much on the negative and backward aspects of Afghan culture, and ignored the fact that Afghanistan had something positive to offer too! I couldn’t help thinking the reaction of the whole family, especially Khan who was depicted as a very unforgiving, merciless, and authoritarian person. So I tried to google it and found this interesting article. It turned out that Seierstad was sued for her "inaccurate and invasive" stories by Shah Muhammad Rais, the real Sultan Khan. The court found her guilty of defamation and "negligent journalistic practices" and ordered her to pay more than 31,000 euro in damages to his second wife. The case did not end until here. The other seven members of the family also planned to sue her! Oh well, the stories that followed are as interesting as the stories in the book :D.
Taken from the book Saudi Arabia Exposed: Inside a Kingdom in Crisis by John R. Bradley. One of the best books that I encountered, discussing about Saudi Arabia and its society. The Saudi Labor Law does not define any rights and duties of the employer of domestic staff, who are in effect his slaves. Of course, not all employers are deliberately cruel or abusive. Many are merely casually so. They believe what they have been told for decades: that theirs is a perfect society and that they, as a consequence, are more completely civilized than anyone else. Quite innocently, they regard their maids and drivers as lesser humans, born in filth and ignorance, who should be grateful for the opportunity to serve them. I’ve heard too many abuse and mistreatment stories from firsthand victims. Upon reading the book, there’s nothing surprising that I found. Everything seemed to be familiar. It’s 2010 and Saudis (including other Arabs) still treat their maids like their slaves. It saddens me. How can they do such things to other human beings?! If… the despised Asian blue-collar workers left en masse, the country would collapse overnight. Garbage would pile high in the streets, families would go hungry, restaurants would close, goods would remain undelivered and rot, and the water supply would stop. There would be no more farming the desert, no transport, no fixing and filling the all-important cars, no air-conditioning, no lighting the streets, no repairing of roads. There would be no trade in anything but sheep and camels, and the wind would whistle through deserted markets. And the sick, injured, and dying would pile up in the corridors of hospitals, if they somehow managed to make it there. They extremely depend on us, yet they are not able to show us the slightest gratitude. Is that an example of a so-called civilized society? A friend of mine tagged me on Facebook a few days ago. She went to Berlin and found this book which apparently had ME on it. LOL. So, yes, as you can see, I’m on a cover (and back cover) of a German book, titled Indonesisch Slang: Bahasa Gaul by Bettina David. 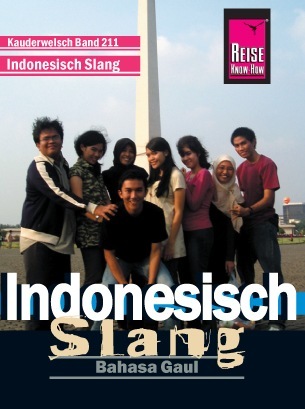 Published on 2007, this book is all about Indonesian slang. 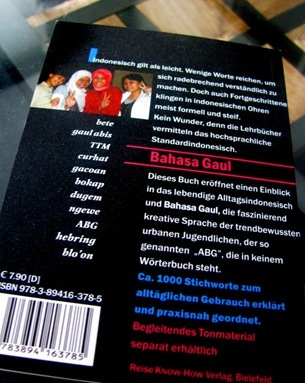 I found it very informative and useful as I learnt quite a lot of new words from this book hahaha. It’s a good book!!! The downside is that it’s only available in German. Bettina and I used to comment on each other’s blogs back in the days. Since she hid her real name, I used to think that she was an Indonesian. Her blog was written in Indonesian, sometimes using our informal language. Usually, if a foreigner writes or speaks in Indonesian, you can spot it very easily that he/she isn’t a native Indonesian. But Bettina speaks (both formal and informal)Indonesian, just like any Indonesians do! So that’s why I was surprised when I discovered that she’s a native German!!! One day, she contacted me, asking me for a permission to use some of my photos published on my online photo gallery. I was honored to be one of the people contacted for this purpose. The picture itself wasn’t THAT good. After all, it was taken with my high school friends… long before she contacted me. But this was my first time to be on a cover of a book!!! So it was so cool! … the most revered example of reconciling leadership is Nelson Mandela, who invited the men who guarded him in jail to his inauguration as president of South Africa, put leaders who had supported apartheid in his cabinet and set up the Truth and Reconciliation Commission to give people who had committed crimes during the apartheid era the chance to avoid imprisonment by confessing. Mandela decided that the only way he or the people of South Africa could be free to face the future was to let go of the past. Because of all that he had suffered, he had the credibility to do it. To be honest, I didn’t know much about Nelson Mandela, except that he was thrown into prison due to his anti-apartheid activities. So when I read this, I thought, “Wow!”. He’s indeed amazing! I should definitely read his autobiography. Several scientific studies have demonstrated that children who learn to play a musical instrument have increased success in reading and math, improved self-esteem, better ability to work in teams, higher school-attendance rates, and a greater likelihood of graduating from high school and going on to college. This is very interesting, indeed! The truth is that, I can’t play any musical instruments. I regret that I didn’t have the motivation to take any musical classes back when I was still at school. I went to an Indonesian school in Jeddah and there were no extracurricular activities available during my 9 years of studying there. Taking musical lessons in Jeddah was very expensive and I don’t think my parents could afford it. I wasn’t encouraged or pushed by my parents to do it either, so I wasn’t motivated to do it even if I had the chance. It was in Indonesia that I got this huge chance of taking musical lessons. I went to Madania Boarding School and we were given freedom to take any lessons that we wanted; be it guitar, piano, cello, etc. We could even take two or three classes without having to pay extra (coz it’s already included in the tuition fee). But sadly to say that I didn’t take that golden chance. I took an art class instead of a music class and even then I couldn’t really enjoy it because it wasn’t my “thing”. But I always look up to my friends who can play any musical instruments, especially piano, violin, cello, or any other “rare” instruments. Somehow I feel like these people are not only good at what they do in music, but also in academic fields! They are smart, outspoken, and critical. I don’t know why, somehow they have these similar traits. But after reading the quote I mentioned above, it is indeed true!!! The Boeken Festijn has ended. Today was my last day of working there. I worked from 12pm til 10.30pm! It was tiring, as usual. But I had SOO much fun with the people I worked with; my new friends. We had a lunch break together and some brought foods to share with. Ian brought a delicious kentang kering (dried potatoes), kakÂ Linda & Sam brought some kerupuk (and something else, probably? I forgot! ), and I brought macarona bechamel (a left over from theÂ dinner partyÂ last night). We ate together, took pictures, made jokes, and laughed… while visitors passed us by probably wondering what in the world we were doing there! Hehehe. It was as if we had our own world and we didn’t give a damn on other people hihihi. Too bad that we couldn’t work together anymore! But we planned on meeting up (and reunion) in the beginning of April and I just couldn’t wait for it! Hope to see you all sooooon! * Picture taken by Maureen. L-R: mbak Dessy, Bahri, Ian, Sam, me, kak Linda, Indah.